Something is happening in the dusty corners of the video game world. People are picking up old video games, wiping off the cobwebs and playing them again. 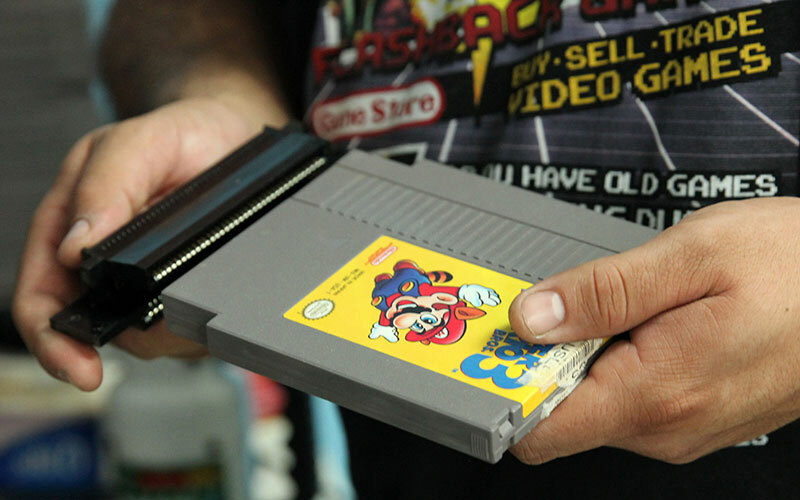 Although one industry expert said the sales of retro video games isn’t significant, local store owners said they’ve seen a recent surge in sales – especially for games released in the ‘80s and ‘90s such as Super Mario, Final Fantasy and Street Fighter. Why? It’s because of people like Ian Sanford, an avid retro game collector willing to pay a premium to snag a piece of his childhood. He said he enjoys games in their purest form. And to him, the purest form is the original one. Sanford, 24, said new games are more theatrical, aren’t as creative and don’t focus on gameplay. Sanford grew up playing games such as Super Smash Bros. 64 and remembers when all his friends would come over after school to play. 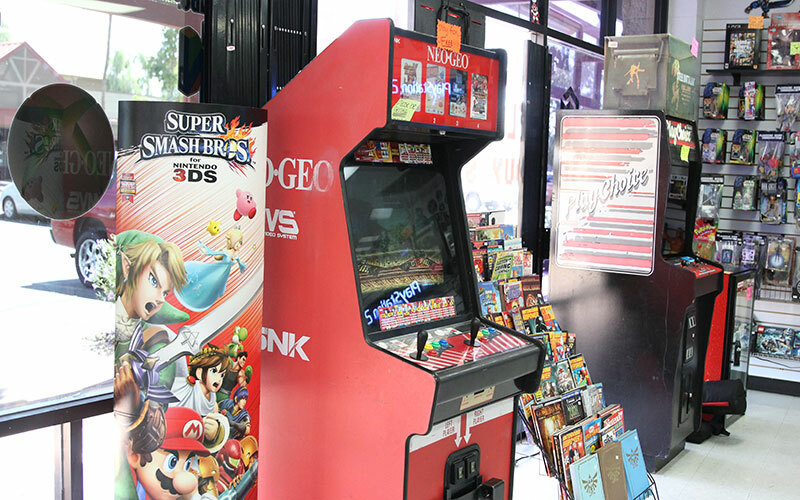 Today, he plays retro games and hosts retro gaming tournaments three to five times a week at the Gaming Zone in Tempe. His hobby isn’t easy on his wallet. Sanford’s recent purchase of the game EarthBound for the Super Nintendo Entertainment System cost him $150. High prices aren’t unusual, said Ashley Ramirez, a video game store owner. 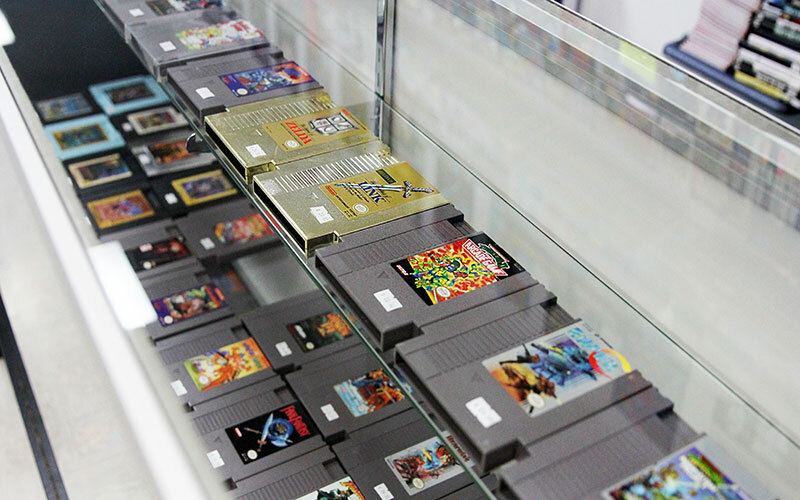 Retro video games in her store range from $20 to $380. Ramirez and her brother, Joshue Ayala, own Flashback Games in Tempe. 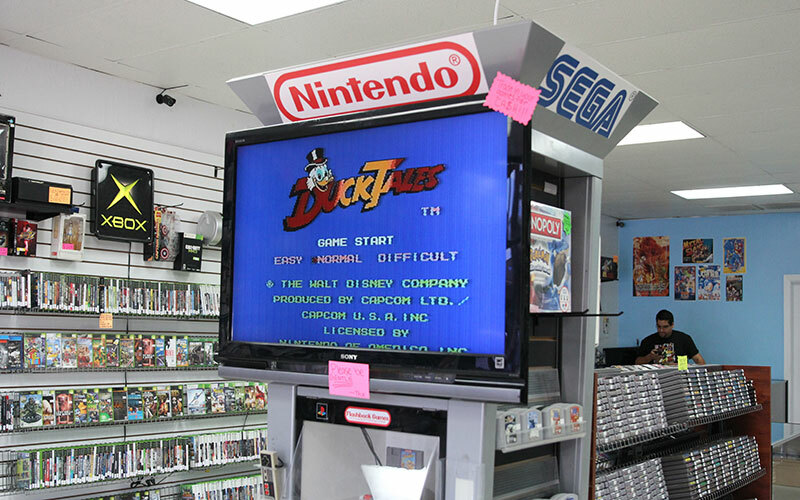 Shoppers can hear the electronic music and beeping from games like Duck Tales from open to close. They also can hang out and play these games before buying them. 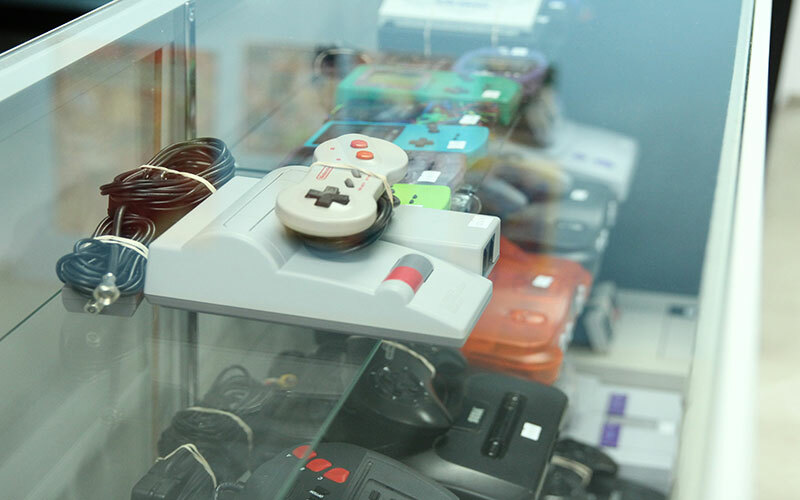 Before launching the store, the siblings used to sell retro video games online. That’s how they discovered the appetite for retro games. Ayala said nostalgia and YouTube personalities – many who devote their channels to hunting down and playing these games – have fueled the recent surge in popularity. He also said the people who buy these games played them as kids. “A lot of the baby boomers that grew up on this stuff are now old enough to purchase it,” Ayala said. The revival of these retro video games isn’t a new phenomenon. Industry expert Michael Pachter, a gaming research analyst for Wedbush Securities, said people have always shown interest in old media like movies, television shows, comic books or video games. Pachter also said the only reason retro games are getting more attention now is because the kids who use to play these games in the ‘80s and ‘90s are now adults with the money to buy them. “The 10-year-old in 1985 and 1990 whose first game was Mario is now a 35, 40-year-old with a job and some money and maybe a kid or two,” Pachter said. The industry expert said these collectors are just filling a hole in their hearts, remembering how much fun they had as kids. Despite the nostalgia, Pachter said new games will always beat out old games. Pachter said since people trade and resell retro games, the industry has no way of tracking the sales. The industry as a whole has made $14 billion in 2015. Pachter estimated the sale of retro games in the thousands, which does not make a dent in the video game industry. “It’s notable, it’s interesting and tells you something about American culture, but it’s not market moving,” Pachter said. He said people collect all sorts of things, and some people just happen to love retro video games. Cronkite News reporter Yahaira Jacquez contributed to this article.